Justin Taylor posts some lines from a letter John Wesley wrote to a young minister who was a poor preacher. Taylor notes Wesley's advice to this young pastor amounts to "arguing that better reading is not a sufficient condition for better preaching, but it is a necessary one." 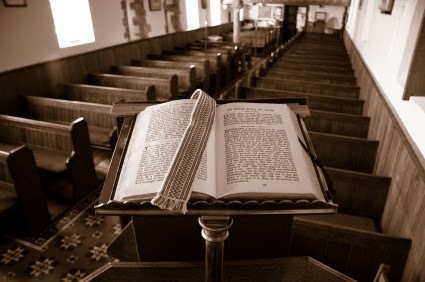 As someone who considers myself, if not exactly young, at least relatively young in my ministry experience and my pulpit maturity, I like to glean what I can from men who were and are great preachers and faithful ministers. Here Wesley tells his young friend that he will never advance in his preaching without a concerted effort to read more, read deeply and read broadly. You can read the whole thing here.